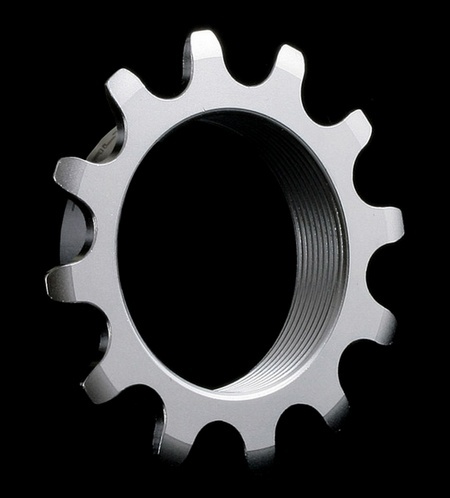 Trialtech Sport Screw-On sprockets are CNC machined from high quality hardened cromoly and are available in a range of sizes. 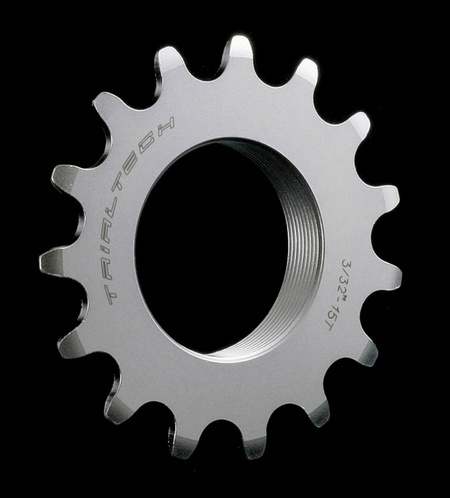 After maching the sprockets are shot blasted to improve surface hardness, this combined with the high quality cromoly steel means that they are some of the toughest and long lasting sprockets available. 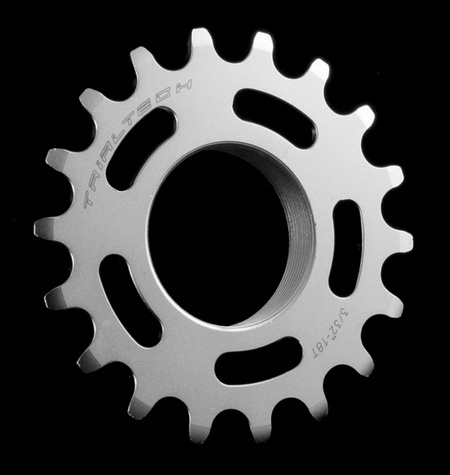 Featuring an International standard thread diameter and pitch, the Sport Screw-On sprockets fit perfectly with all freewheel cranks and threaded rear hubs. 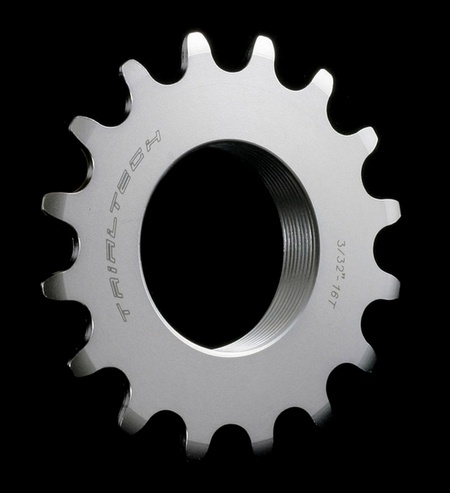 To increase the strength and durability of your drivetrain the sprockets boast a 10mm wide base, ensuring you benefit from the maximum thread contact at all times. To help reduce the weight the larger sprockets all feature CNC machined slots to remove material without compromising strength. 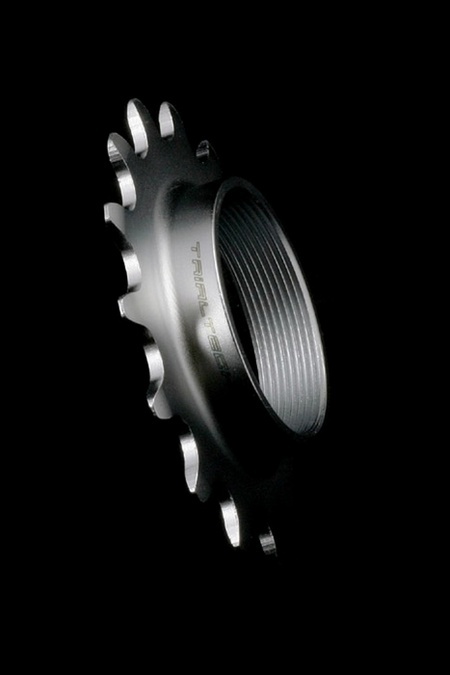 The Sport Screw-On sprockets are available as 12t and all sizes 15 to 18t inclusive. Each sprocket is finished with a stylish laser etched Trialtech logo and size indication.  Customer rating: 5/5.